Although the Legislature's business was largely comprised of the task of managing the Territory for its growing population, possible U.S. involvement in World War II was clearly at the forefront of public concern. Because the meeting of the Legislature occurred in early 1941, the country had not yet officially entered the war; however, with conflicts rapidly expanding in Asia and Europe, Americans began to prepare. The Legislature provided substantial funds to the recently formed Alaska National Guard to ready for combat, but those troops were ordered into federal service in September 1941. Japanese forces became active on Adak Island in the Bering Strait during that year, eventually attacking Dutch Harbor and capturing the Aleutian Islands outposts of Kiska and Attu. 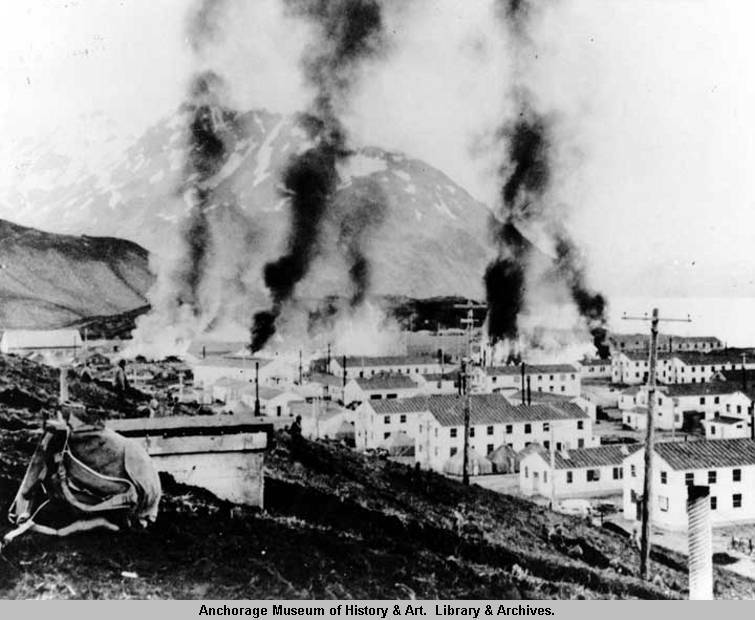 With no homeland defenses in place, 3,000 Alaska Natives were recruited by Major Marvin Marston to form the Alaska Territorial Guard, which served without pay, defending Alaska throughout the war before being disbanded in 1947. Prior to these historic events, the Legislature continued dedicating funds toward expansion of schools and the university. Examining boards were created for the licensing and regulation of attorneys and nurses, and the Board of Road Commissioners was established to standardize traffic practices, while appropriations to support the planning and construction of an Alaska-Canada highway were again made. Law and order were considerations in legislation outlawing the sale of barbiturates and certain other drugs, regulation of collections agencies, and a law to hold the fathers of illegitimate children financially responsible. The sale of alcohol was at issue in measures allowing municipal voters the option to restrict the issuance of liquor licenses and in a state excise tax on alcohol. With unpredictable tax collections, the territorial government struggled to fund services to a growing population. As a consequence, the body petitioned the federal government on numerous fronts, from predator control assistance and the establishment of a fur tanning facility to control of fisheries and land management. The battles of Midway, Coral Sea, El Alamein, Stalingrad and Guadalcanal take place. The Siege of Tobruk in North Africa is the first major defeat for Germany's land forces. Operation Reinhard begins the main phase of the Holocaust. Congress reapportions the Alaska Legislature based on population, increasing the membership of the House from 16 to 24 members and the Senate from 8 to 16 members. The bombing of Pearl Harbor and Japanese invasion of the Aleutian Islands prompts US. entry into WWII and subsequent construction of the long-discussed Alaska-Canada Highway. The roughly 1,700-mile road is cut from the wilderness in less than seven months. Internment of Japanese-American citizens begins.